Looking for a Peru homestay experience? Stay with a Peruvian family and learn a little about their life! This is a once-in-a-lifetime chance to experience a traditional Andean lifestyle. Homestays not only provide an enriching experience for you, but they also contribute to the local economy, improving rural development in traditional communities for local people. Peru homestays are definitely a win-win! Our Peru homestays can be booked as an extra on many of our Lares or Salkantay treks. You can also choose a Peru homestay experience on its own with our 2-day Overnight Huilloc Community Tourism tour. Stay with a Peruvian family and really connect with the real Peru! It can be an incredible, eye-opening and culturally enriching experience stay with a Peruvian family in a traditional Andean community. However, please be aware that a Peru homestay is an adventurous option. Bring an open mind and a sense of humor, be flexible and most of all, be prepared to go with the flow! Also remember that you are visiting someone’s home. Practice Responsible Tourism and follow our guidelines for Being a Responsible Tourist. The price per night has been openly negotiated with the host families and is a fair price for their services. In return, it is important that the families provide a good quality and friendly service and that their payment not be seen as a hand-out. The cost of staying with a family is fixed and includes the evening meal and breakfast. Please do not leave tips or extra payments. Please do not give gifts such as clothing, money, school equipment, or tools. Instead, we recommend bringing fruit, coca leaves, long-life fruit or milk drinks, etc. Do not give candy and sweets to the children. Remember that your well-intentioned gift can sometimes emphasize the differences between cultures rather than build a bridge. For more about gift-giving, read about How to be a Responsible Traveler or ask for a copy of our Traveler’s Code of Conduct. If you wish to contribute in a more substantial way, please make a donation to an established organization. Do not give monetary or other gifts to teachers or village leaders. You are welcome to take photos of members of the host family you are staying with, though it is polite to ask before you do so. You do not need to pay for these, but they cannot be used for commercial use or financial gain. When outside the house please try to limit taking photos of people as much as possible. Landscapes and views that include people are fine but try to avoid close-ups of people taken without their permission. If you do take photos of the family and you promise to send the photos to them please keep your promise. Email them to us and we can print and deliver the photos to the families. In the evening there may be the opportunity to buy a beer or two. If you have been accompanied by a member of your host-family, it is fine, although not obligatory, to invite them for a drink as well. Please enjoy the occasion but try not to drink too much and please don’t treat each member of your host-family to more than one drink. Don’t stay up late. 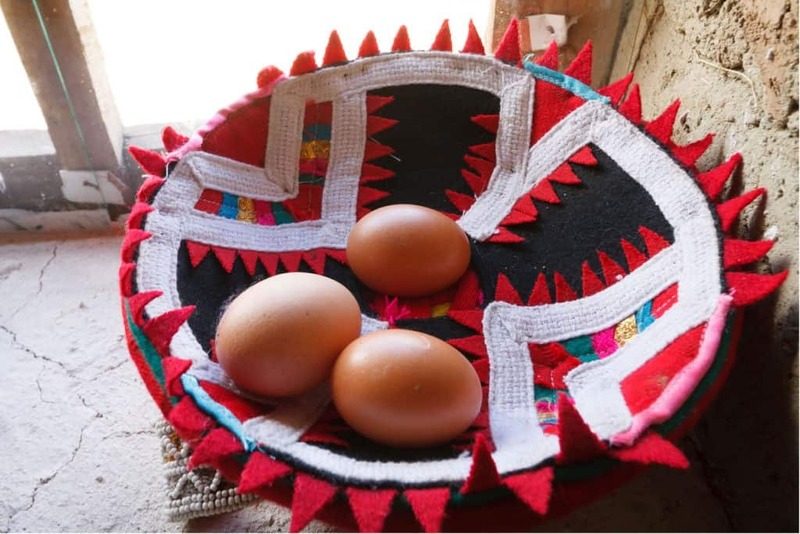 Your homestay family may try to sell you hand-made, traditional weavings in their home. There is absolutely no obligation to buy anything. If you do not think you wish to buy in the home it is probably best to firmly and politely decline to see the items at the beginning of your stay. If you think you would like to purchase weavings from your host family, please bring plenty of small change as it is difficult to change bank notes of S/.50 or higher. Please do not leave valuables in your room. Keep them with you at all times. If you have enjoyed your stay with the family please help us promote them by telling other travelers! You can log in and leave a review here on our website, or write a review about your homestay experience on Trip Advisor. We also encourage constructive criticism so that we may continuously improve our offerings. Please take the time to fill in the feedback form you are given at the end of your trek. We appreciate your honest feedback! Available on: any of our Lares treks. You must book a private tour. 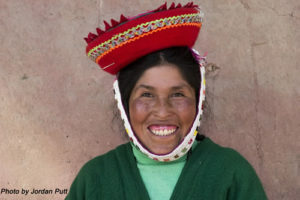 Spend the night with a Quechua family who will open their traditional Andean home to you! This is a real, culturally immersive experience. You will be invited into the homes of people who still wear traditional dress on a daily basis, and who live a traditional agrarian lifestyle. Homestay rooms are specially prepared for visitors but are extremely basic. For many people, this is a challenging experience. Traditional Andean homes are small, stone or adobe brick structures with just one or a couple of rooms, dirt floors, and small or no windows. They are cold, dark, drafty and often have no electricity. The beds consist of wood bed frames with a basic mattress and some heavy blankets; you should bring your own sleeping bag to ensure you are warm enough. The kitchen can often be very smoky as cooking is done over an open fire, and ventilation is poor. There may be a tap with running water, but no shower. Most homes have an outhouse, though this is changing. Little by little, many homes in these villages are improving things like sanitation – thanks in part to the money they earn from responsible community tourism! The families you will visit during your Peru homestay mainly speak Quechua, and some Spanish. They do not speak English. Available on: Salkantay Trek 5D, Salkantay Trail 4D, Choquequirao trek to Machu Picchu 7D and Choquequirao to Machu Picchu Adventure trek 8D treks. You must book a private tour. Style: Basic. Simple but modern infrastructure; temperate climate. Altitude: 2400m / 7874 ft.
On this Peru homestay, skip the loud music and parties of La Playa campsite on the Salkantay route and spend the night with a coffee farmer and their family! Your host family is part of the Huadquiña Coffee Cooperative and Cocla Tours Tourism Cooperative. With microfinance assistance, families in these cooperatives have been able to construct basic homestay rooms and a bathroom with hot shower. Lucmabamba is located at lower altitudes and is generally warm, making this the least challenging of our homestay experiences. Infrastructure is simple but modern, and the families do not wear traditional dress. Not only will you have the opportunity to visit a typical family and experience life in the Andean jungle on this Peru homestay, but you will also have a welcome chance for a hot shower, and to sleep on a bed with a comfortable mattress. You will also learn about the process of growing, harvesting, selecting and roasting high-quality coffee! Note that large groups will be divided up among homes where they do not speak English, and your guide can only stay in one of the homes, although they are situated near to one another. Availability : The Classic Lares 4D trek; Lares Trail 5D; Inca Trail and Lares Trek to Machu Picchu 4D; Lares Valley Cultural Trek 3D.